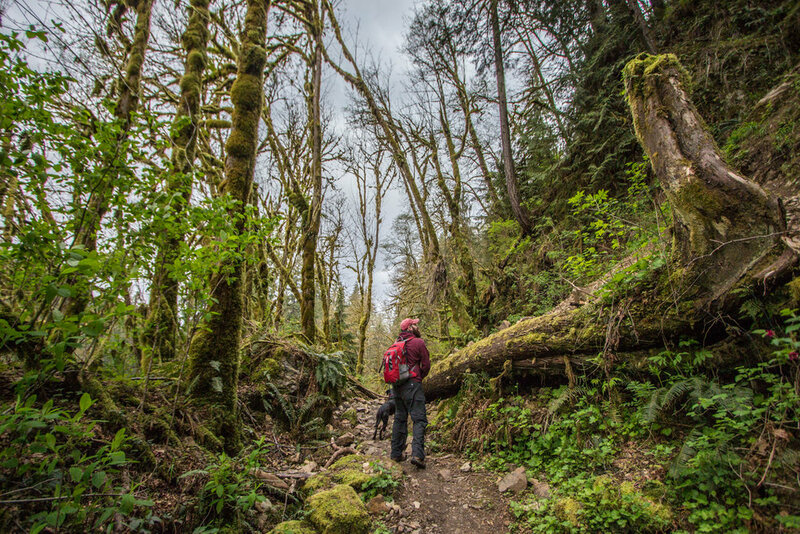 You will find Lime Kiln trail. 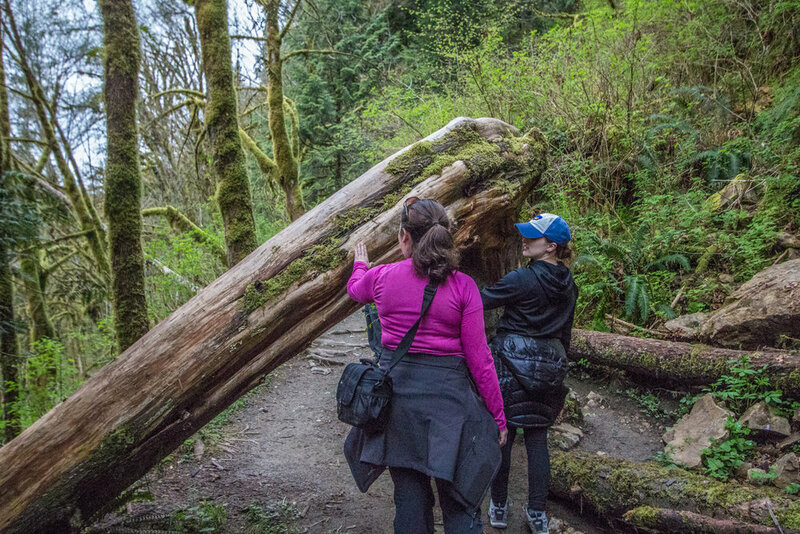 It's a quiet, calm, slowly-sloping 7.0 mile round-trip hike through a temperate rainforest - covered in lush green mosses and fern. We drove Burt out to the trailhead (roughly 1 hr. from Seattle) with our 4 Chicago friends. It was a very relaxing hike out that started with a spooky dark young forest and then eventually opened up to a river-side trail deeper in the canyon. You find the Lime Kiln a few miles into the hike. It's a really mossy, post-apocalyptic looking structure. There are also many "artifacts" placed around the kiln. They seemed a little staged, but who knows! The rest of the hike takes you along the South Fork Stillaguamish River. It's wider than I expected and pretty fast-flowing. At the end of the hike there it a rocky beach great for lunch, so we pulled ours out and ate them in the rain (like true PNW-ers!). We found a great little brewery in Stevens Lake on the way home: Stevens Lake Brewing. The post-hike beers hit the spot. We also sampled the local (extremely 90's-esque) Sahara Pizza Co.'s slices (aka stuffed our faces full) because we were so hungry after the long hike. A great trip from Seattle!